​Made in Canada, Paige Russell grew up crafting, making, and baking. Out of this love for designing and creating, she went on to get a BFA in Product Design and has since done work for Martha Stewart Living, Sunset Magazine, Fossil, Design*Sponge, and her own ceramic design company. She now has "the most fun ever" as a content creator for Instructables, designing a wide range of projects from food recipes to furniture. Learn all about the tools and ingredients you'll need in order to follow along with the class. I show you how to make my go-to pasta dough recipe. I also cover dough kneading basics. This is a creamy pesto sauce that goes well with any of the shapes we'll make in this class. I show you how to roll and cut the egg dough you made in lesson 3 using a pasta machine. If you end up making more fresh pasta than you need, in this lesson I show you the best ways to keep and store it for future use. In this lesson, you learn how to properly cook and sauce fresh pasta. I show you how to make egg-free semolina dough for those who can’t tolerate eggs or would simply like to try a different kind of noodle. The tomato sauce we’ll be making in this lesson is hands down the best tomato sauce I’ve ever had! 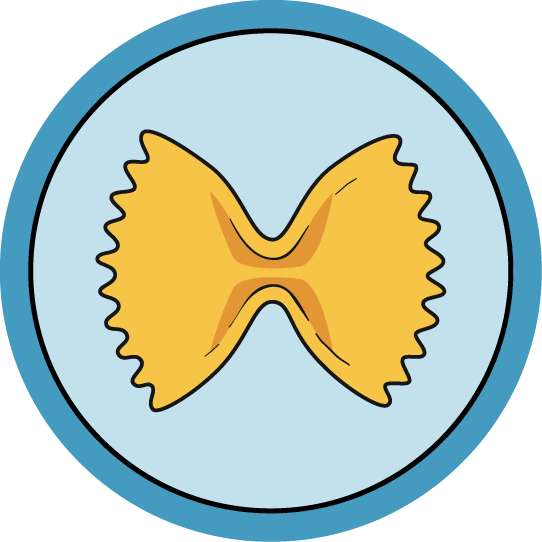 You'll learn how to hand form 4 different pasta shapes: farfalle, garganelli, tagliatelle, and pappardelle. 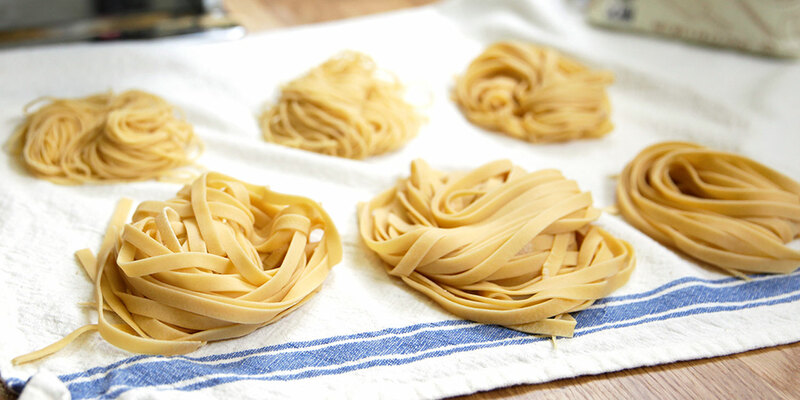 Learn how to use almost any spice, veggie, or liquid to make flavored pasta dough. In this lesson, I show you how to make basic, but super delicious, ricotta filled ravioli. I also throw in Mark Twain's Secret for Success. Hear me say thank you in Italian (with a Canadian accent) and reveal what I'll be making next.